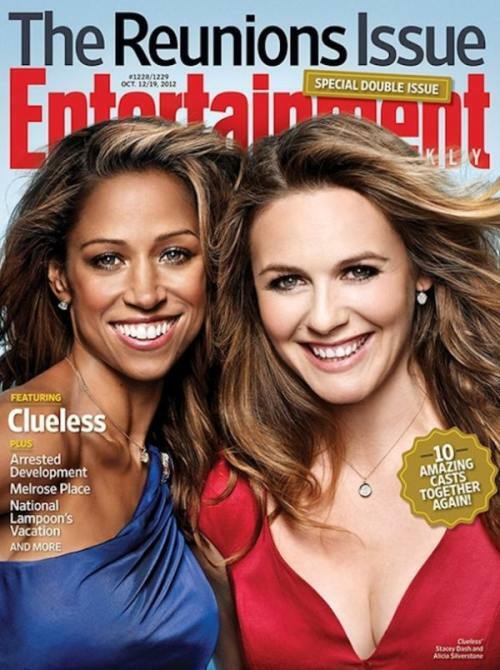 love, elizabethany: pics and video: the cast of clueless reunites! pics and video: the cast of clueless reunites! Thankfully Travis is cleaned up and uber hott now, but you definitely can't say the same thing for Christian. Homeboy let himself go. And after. See what I mean about Christian? Oof. But the best part: This video of them talking all about filming, the fashion, and the ridiculous hat Dionne wore. Now can I get a reunion of "That Thing You Do?!" It's like, my favorite movie of all time, and I'd really enjoy a karaoke sesh with all the guys. Make it happen, world. Thanks.